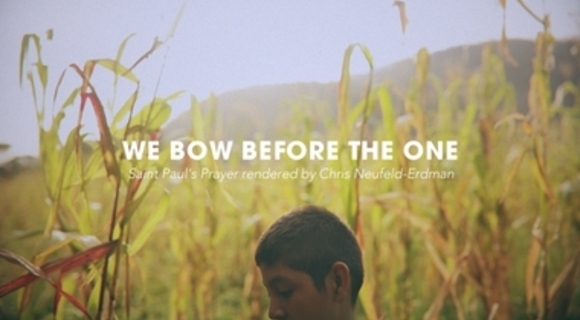 Saint Paul's Prayer from Ephesians 3.14-21 rendered by Chris Neufeld-Erdman. toward the fullness of Love divine. illuminating us in Love sublime. more than all our wildest dreams. Glorious is God among us. Glorious is Christ within us.